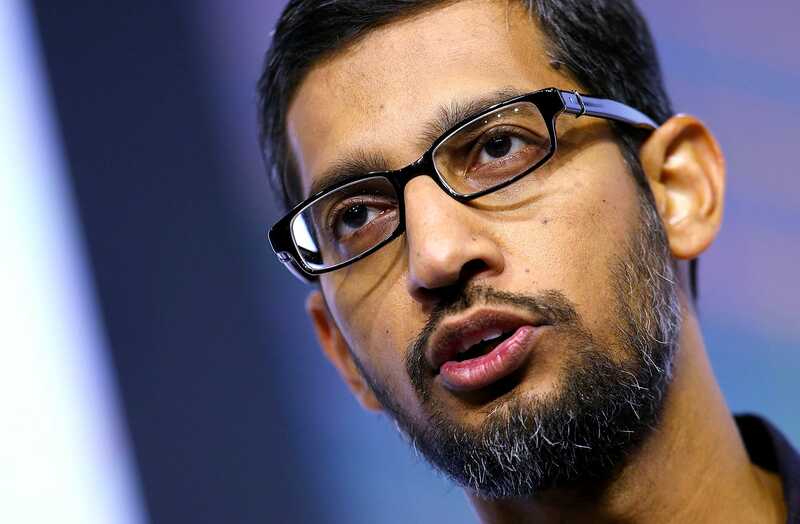 Google’s third quarter revenue fell short of Wall Street expectations. Shares of Google plunged about 5% in extended trading. Company executives said they felt good about global economic conditions. There was no talk about the sexual misconduct allegations reported in the New York Times shortly before the earnings results. Google’s revenue increased 22% in the third quarter driven by healthy performance in its mobile search business, but the results were slightly below Wall Street expectations and the stock took a dive in after hours trading on Thursday. Shares of Google-parent company Alphabet were down roughly 5% in extending trading, after finishing the regular trading session up more than 4% in anticipation of the results. Google’s Q3 report came on a big day of tech company results, with Amazon, Intel, Twitter and Snap all giving Wall Street udpates on their businesses. Shares of Amazon were down 9% in extended trading Thursday, following its report. While the growth rate in Alphabet’s topline showed a slight deceleration from its performance a year ago, company executives expressed optimisim about global economic condititions during a conference call with analysts on Thursday. Unmentioned during the call however was the bombshell report in the New York Times, published hours earlier, that detailed allegations of sexual misconduct among several former Google executives in recent years. Google executives also said very little about the regulatory scrutiny facing the company in Europe and the US over everything from user privacy to the spread of misinformation on its services. The growing criticism of the company, along with the broader market uncertainty, had sent Google’s shares down 8% in the past few weeks leading up to the Q3 report. And the slight dissapointment in revenue was all investors needed to punish the stock. Q3 net revenue: $US27.2 billion, up 22% year-on-year, but shy of the $US27.33 billion expected by analysts. Traffic acquisition costs: 23% of advertising revenue, the same as in the year ago period. During a conference call, Google CFO Ruth Porat said the company’s ad revenue growth in Q3 was “led by mobile search with a strong contribution from YouTube, followed by desktop search.” She warned that traffic acquisition costs would continue to increase going forward as consumers increasingly shift from using its search engine on desktop computers to mobile devices. Google’s operating profit margin was squeezed by rising costs in the three months ended September 30, but a lower tax rate and a $US1.4 billion boost in “other income” from equity investments helped Alphabet post a larger than expected net profit. Alphabet’s “Other Bets,” the various subsidiary companies focused on ambitious projects like self-driving cars and healthcare technology posted a widening operating loss of $US727 million, compared to $US650 million in the year ago period.